A kaleidoscope of vivid, moving and highly entertaining accounts of the delights and benefits of dog ownership: an anthology of stories, freely contributed, from TV personalities, broadcasters, politicians, writers, and many others. Well written by people with a pedigree in writing! 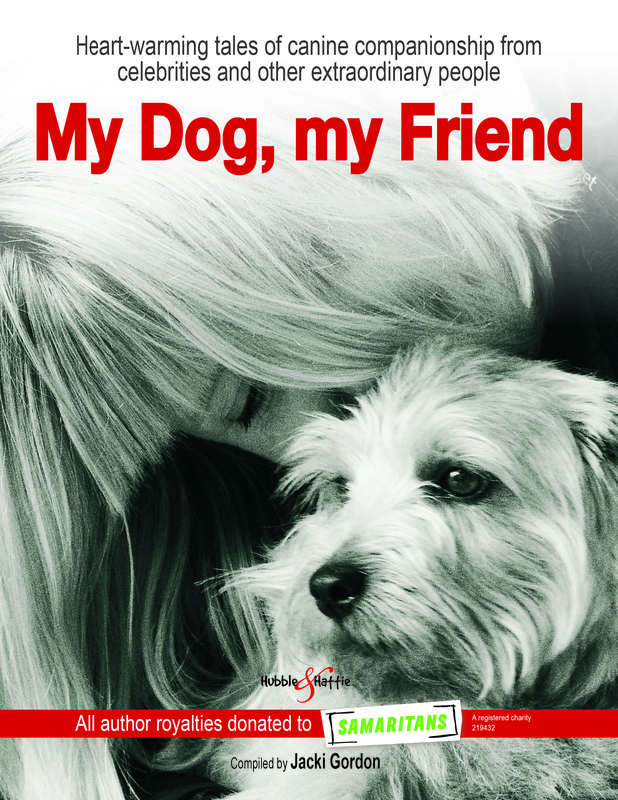 Brought to life with colour photographs of the writers and their beloved canine companions, this is an ideal bedside or coffee table book that can be read cover-to-cover, or simply ‘dipped into.’ It conveys the key message that dogs can – and do – have a positive impact on the way we feel and live. All author royalties go to the charity Samaritans, to support its invaluable work of alleviating emotional distress and reducing suicidal behaviour. ... and many more such as David Blunkett MP, Mohamed Al Fayed, and Hollywood producer Jon Landau, to name but a few!